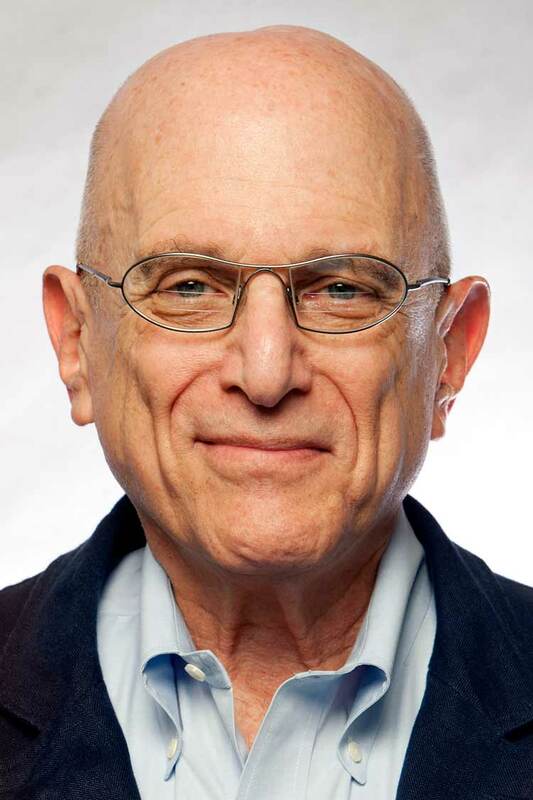 John Lavine is professor emeritus and the former dean of Medill. Prior to becoming dean in January of 2006, he was the founding director of Northwestern's Media Management Center. Lavine regularly educates senior executives in leading print, broadcast, and digital media companies in the U.S. and abroad and teaches graduate students from Medill and Kellogg in the media management MBA major at Kellogg. Since 1999, he's led major media industry research projects that explore many of the major challenges and opportunities that confront the media, such as how to better understand audiences and how to enhance the impact, value and usage of journalism, news and advertising. From 2000 to 2002, the Media Management Center's Readership Institute (RI), which Lavine directed, completed the largest studies ever done on newspaper readership for the Newspaper Publishers Association and the American Society of Newspaper Editors. It shows which reader experiences motivate and which inhibit newspaper usage. In 2003-04 the Media Management Center studied the experiences of readers of U.S. consumer magazines for the Magazine Publishers Association. That work is being used by many magazines and magazine groups and is also part of the new metrics of leading advertising agencies. In 2005 the Center completed a national study for the Online Publishers Association which explored the experiences and usage of consumers on the major Web sites and portals. On the global front, in 2004, Lavine founded the International Media Management Academic Association (IMMAA), the first such organization with membership in all major parts of the world. In 1985 he founded the Inter American Press Association's study of Latin American daily newspapers, and each year since he's directed that study as well as a media management seminar in Central or South America. Lavine was the dean of Medill from 2006 to 2012. Before coming to Northwestern, Lavine was the John and Elizabeth Bates Cowles Professor of Media Management and Economics at the University of Minnesota. Prior to that, for more than 25 years he was publisher/editor of four daily and four weekly newspapers in Wisconsin. During those years, he also was an executive of an international film company in London and the United States that did most of its work for television and was president and publisher of an international medical journal publishing company. Academic: Founded International Media Management Academic Association (IMMAA); president and chair of the Accrediting Council for Education in Journalism and Mass Communications; Board of Advisers, University of California, Berkeley Graduate School of Journalism; vice president and chair of University of Wisconsin System Board of Regents; member of the boards of Coker College and of Antioch College at Yellow Springs, Ohio. Professional: President, Strategic Media; publisher, Independent Media Group Inc.; publisher/editor, Lavine Newspapers Group; publisher, Professional Publications, Inc.; partner and director, Cygnet Films; board member, Journal Corporation, Lincoln Neb. ; Prescott Publishing, Quincy Mass. ; president and chairman, Inland Press Association. Annually from 1999-2005, presented the findings of Readership Institute and Media Management Center research to thousands of media executives in group, classes, and conferences ranging from 20 to more than 1000. That research is available in reports and publications at www.mediamanagementcenter.org and www.readership.org. Named "Newspaper Advertising Educator of the Year" by the Newspaper Association of America, January 2004Ralph D. Casey/Minnesota Award for Distinguished Service in Journalism, Inland Press AssociationInter American Press Association Recognition AwardFirst Place Award for Distinguished Reporting Displayed in Sustained Coverage of An Ongoing News Story Involving Government Affairs -- Inland Daily Press AssociationTwo Associated Press Managing Editors CitationsWisconsin Newspaper Association: First Place For Editorials, Achievement Award for Investigative Reporting, Achievement Award for Feature ReportingLavine's editorials were syndicated in 250 daily newspapers three times a week by King Features, the largest newspaper syndicate in the country.